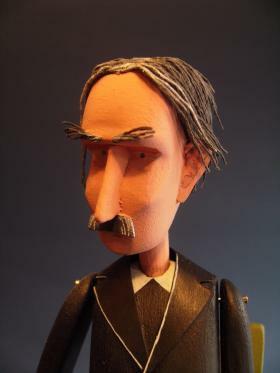 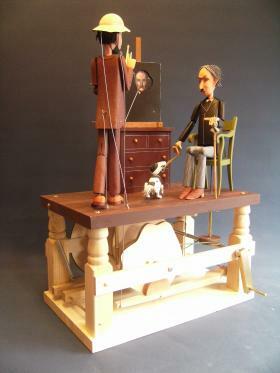 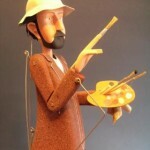 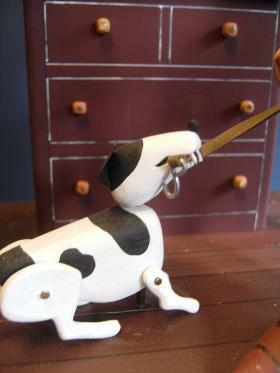 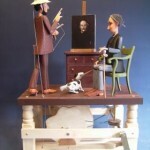 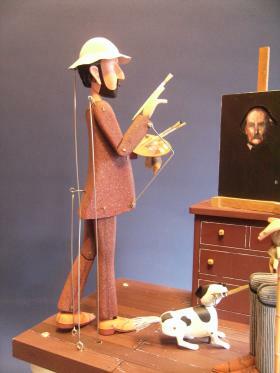 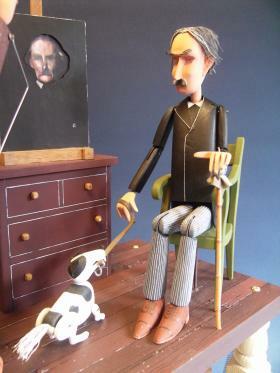 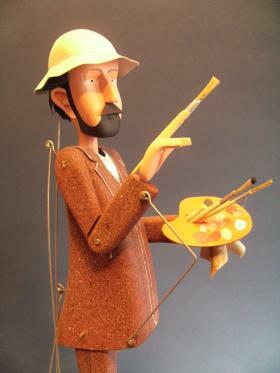 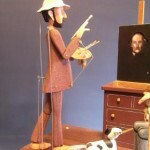 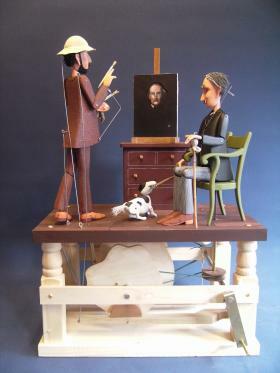 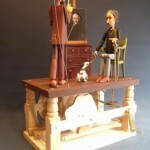 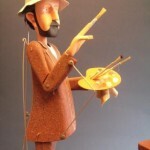 This automata was commissioned by Falmouth Art Gallery to be exhibited alongside their newly acquired painting of Charles Napier Hemy by John Singer Sargent. 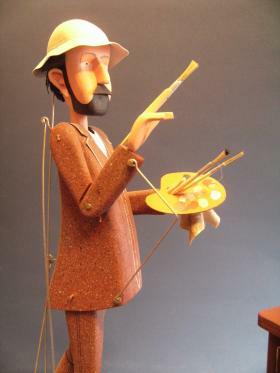 The painting took three days to compleat and Hemy was very irritated by Sargents constant smoking of cheroots. 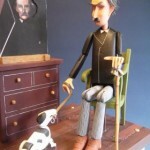 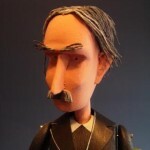 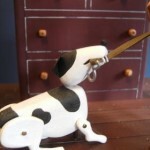 As I did not want any references to smoking, I used Hemy’s small dog to annoy him by pulling on his lead.